Safety film helps prevent glass accidents, and provides additional security.Interior fading is reduced along with heat and glare. Fading furniture, draperies and carpets are a major problem. The primary culprit is Ultra Violet (UV) rays. You can't see these rays, however, they are at work even on cloudy days. But there is a simple way to control these UV rays. In fact, it is being used by major museums around the world to help protect priceless works of art. It's called solar control film or window film. A high quality film like Hanita, professionally installed to the inside surface of your windows, will stop up to 98% of the harmful UV rays, while still providing a natural level of visible light. 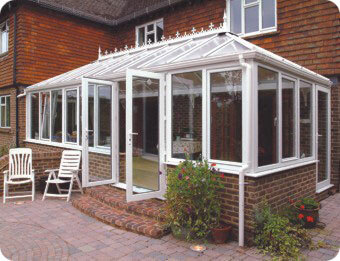 Instead of having roof blinds fitted to your conservatory roof, why not consider having film fitted by Solar Screen? Window film can come out at a ¼ of the cost of blinds, it’s hygienic, maintenance free, manufacturer warranted up to 10-years and will stop up to 80% of the solar energy, don’t just take our word for it, check out what our customers say. Hanita films can reject up to 77% of the sun's total solar energy in the summer and help insulate the structure in the winter to retain the heat. So effective is this window film at reducing energy consumption, Running costs for your home can be greatly reduced by cutting down excess heat and harmful UV rays.